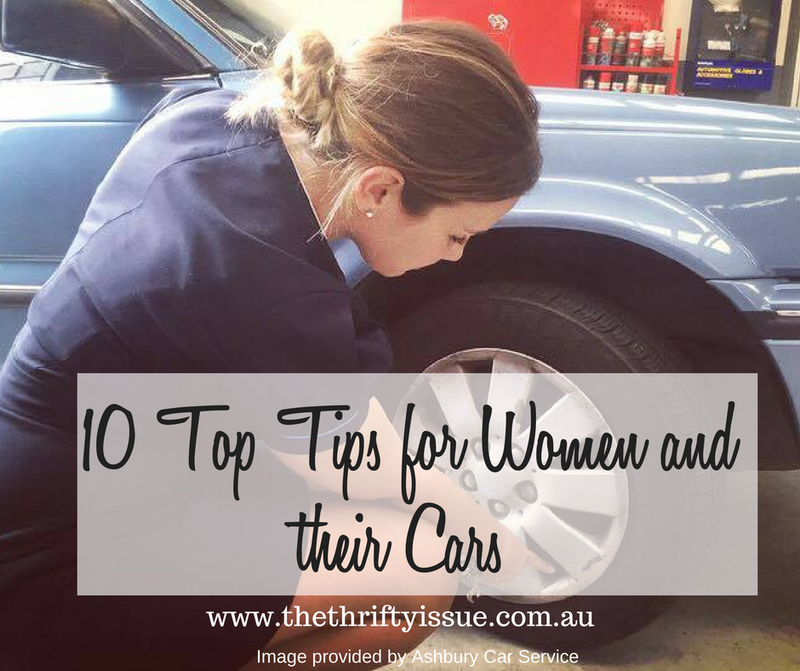 Nicole wrote the following post with top tips for women and their cars. We met through women in business group and since I get asked a lot about car tips or finding a good mechanic, I sought her help. This is NOT a paid post. You may only see them a couple of times a year but, if you aren’t comfortable it may stop you from asking questions which could lead to unnecessary repairs being done or even being taken advantage of. If a mechanic makes you feel uncomfortable, inferior or does not take the time to explain things then it’s time to find a new one. How? Keep reading….. This is a simple skill that can be learned by anyone and could save you time, money and headaches. You’ll need to know where your jack and socket are stored (usually in the boot) and ensure that you indeed have a spare tyre that can be used. Changing a tyre can be done by most people in under 15 minutes which sounds pretty good. Much better than having to wait hours to be rescued. If you need someone to teach you how to change a tyre on the car you drive then a Ladies Car Care course might be just the ticket. No one ever thinks they will be in an emergency so when it happens, the effect is often much worse than it should be. If you feel prepared, you will feel in control. Organise a little pouch or backpack to keep in your car. Include a first aid kit, photocopy of vehicle documents (registration, insurance, roadside assistance), notebook, pencil, gloves, rags, a bottle of water, torch, muesli bar and even a blanket. You’ll be familiar with the contents and be able to go onto auto-pilot should anything happen. Driving in the correct gear, as opposed to a lower gear actually saves fuel. Driving smoothly is also beneficial; not only does it control consumption, but it’s less likely you’ll wear out the suspension at an astronomical rate or place additional stress on the engine. Speeding increases consumption once you hit over 90km/hr. On the flip side, that’s also the speed that using your air conditioning actually becomes economical. Anything below that speed it’s worth opening the windows instead. Travel light as the heavier the car, the more fuel it uses. If you’ve been thinking about clearing out the boot (or back seat!) now is the time. Women are amazing at picking out the finer details, it’s time to take a moment in the driver’s seat to take it all in. Turn the ignition on and have a look at the dashboard, are there any lights blaring at you? Is the temperature gauge reading ok? Become familiar with all the symbols so that in the event any of them change, you’ll recognise the difference right away. Listen to the sounds your car makes when you accelerate, brake or turn a corner. Any abnormal noises will then be picked up sooner. Notify your mechanic so any issues can be rectified before any major damage is done. This will save you money in the long run. This means no stilettos, thongs or bare feet. Whilst none of the Australian states or territories have a law against specific (or no!) footwear, the Rule 297 of the Australian Road Rules 2008 (driving without proper control of the vehicle) could be applied in the case of an accident. The most appropriate footwear for driving is secure on your feet and allows you to feel the foot pedal through the sole. Don’t wear high heels, or barefoot. Inappropriate footwear or wearing none could put you at fault in an accident. Although there may be some loopholes, it’s not worth the risk. We’re not suggesting you cancel your subscription and leave you high and dry, but instead find one of the many mechanics out there who offer free roadside assistance when you get your car serviced at their workshop via a third party. Then you can cancel your existing membership. Yes, you pay for the service, but at least you are spending the funds maintaining your vehicle (which could save $$ in the long run) rather than a membership that you may or may not use. Tyre pressure is something that can easily be checked at your local petrol station. Check with your vehicle manufacturers (or the owner’s manual) for the recommended levels. Under inflated tyres get hotter, flat or even blow out. It will take you a few minutes to do monthly but saves you a new set of tyres each service. Whilst you are there take a minute to also check your tyre tread; these preventative steps can prompt tyre rotation prolonging the life of your tyres. If you start feeling the car pulling to one side, requesting a wheel alignment will stabilise the car, be more fuel economical and again, prolong the need for new of tyres. Learning how to do the simple things yourself in between services will save you time and money. If you are unsure how to do any of the above, or want to go through the hands-on basics of car maintenance and tips, look for a local course. If you are in Sydney, Ashbury Service Centre has a basic 2-hour course covering the basics of maintaining your car. They will even show you have to change a tyre, check the fluids, and more, on your own vehicle. Click here to find out more. Over to you, do you have any top tips that you find helpful? Together with her father and brother, Nicole runs the Ashbury Service Centre in Canterbury. Aware of how overwhelming many women find car maintenance and repairs, ASC has focused on becoming a workshop where women feel comfortable that they are receiving expert service and advice, and where they are encouraged to ask any questions they may have. Great article Nicole. Very educational. Glad you like it, Trish. Some great tips. Not sure that I agree with cancelling my roadside assistance, I like to know that I have 24/7 help that I can call. Great article Nicole. Hi, Katie, she didn’t say cancel it completely. She said to find a mechanic who offers this free with your regular maintenance, so you still have that help 24/7. Great article! 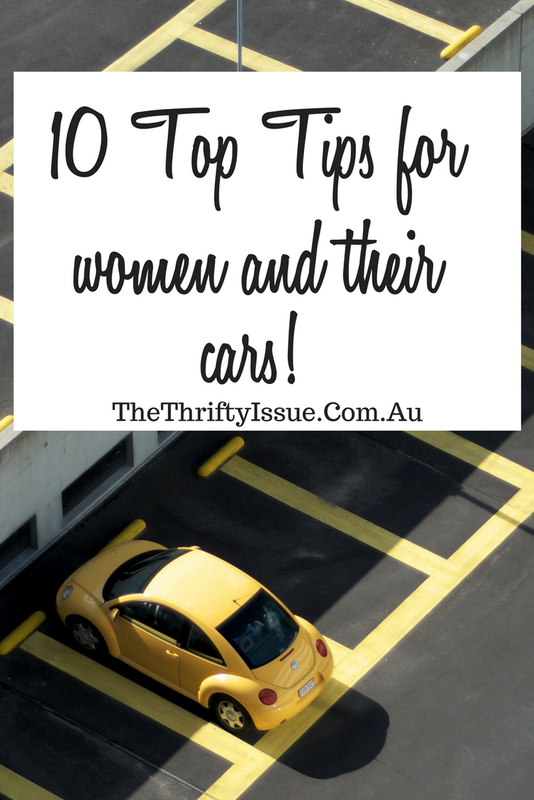 I find so many women (and men) have no clue about the cars they drive, so your article offers some great tips! Thanks. Absolutely. It wasn’t until I spent some time as a single mum that I realised how little I knew about cars, but I learnt quickly. But now, many years later, I’m glad to say I think the industry has improved quite a bit and treats women with more respect (as customers with a voice and a smart phone!!!). The mechanic I use now is fabulous! So yes – definitely important to find a good, reliable mechanic you feel comfortable dealing with! But I know have a very reliable one. Interesting facts about the air con.. I use mine way too much… goodbye petrol. Great article Nicole! So many points I wasn’t aware of. The ladies car care course sounds pretty useful too! I completely agree, it’s so important to understand the vehicle you’re driving, for your own safety! Good point about footwear. I was driving in thongs the other day and my foot slipped off the break. Driving in heels ruins the shoes too!